My fiancé's father has been deceased for almost 21 years. When my fiancée was at the Colombian consulate in Panama yesterday, they told her that she could acquire and Colombian cedula and passport, but she had to provide some specific information, including a copy of her deceased Father's cedula. I asked her if they just wanted the number, and she said that they wanted a copy of the actual document. Does anyone have any experience with this, and is this something that can even be obtained? Why they ask for her father’s cedula ? Isn’t she Colombian ? Idk how things work in Panama but the requirements to obtain a cedula are Birth Certificate, blood type and photos. I’m not sure why they asked for a copy of his document. She was born in Venezuela to Colombian parents. When the economic issues started in Venezuela, she moved to Panamá and obtained residency. Thanks. Right now we are pushing forward with getting copies of her mother's documents. Because of the electricity outages in Venezuela, it's going to be difficult to get anything official pertaining to her father's death, unless there is a document that a relative already has in hand. De manera cordial informo que su novia debe traer su Registro civil de Nacimiento apostillado, copia de los documentos que están enunciados en el Registro civil de nacimiento, fotocopia de las cédulas colombianas de sus padres, si ellos fueron nacionalizados como venezolanos debe aportar la gaceta oficial, RH y tipo de sangre de su novia, debe venir personalmente acompañada de su mamá o si su mamá no se encuentra en Panamá, debe traer un testigo colombiano mayor que ella, con cédula original vigente colombiana y si es nacionalizado como venezolano debe traer la Gaceta oficial. 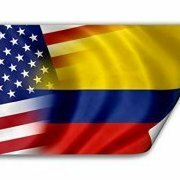 En cuanto al fallecimiento de su padre, seria bueno verificar si ya aparece con Registro de Defunción Colombiano y si no aparece elaborado dicho registro en Colombia se debe elaborar en nuestras oficinas y debe aportar el Registro de Defunción Venezolano apostillado y la copia de la cédula colombiana.